THURSDAY, July 7, 2016 (HealthDay News) -- An innovative set of clinical trials have identified two drugs that could provide a fighting chance for women with advanced breast cancer. 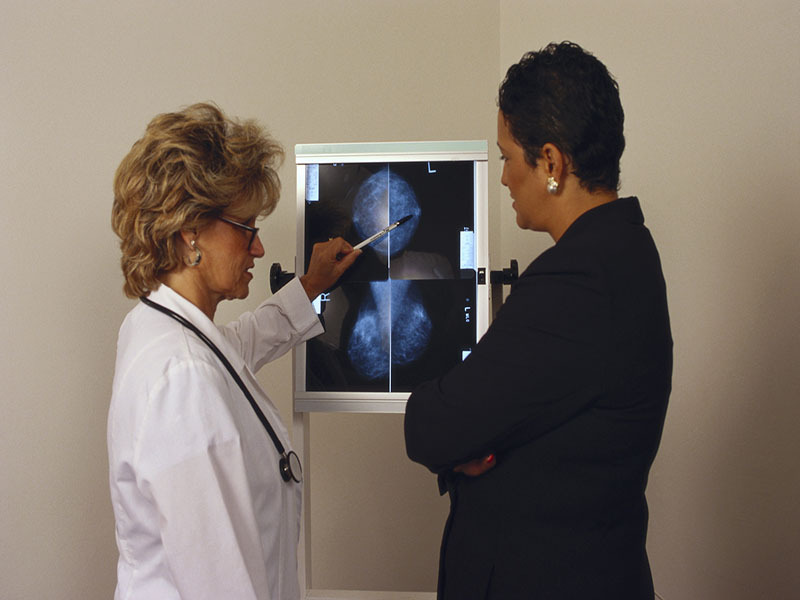 The drugs, neratinib and veliparib, both appear effective in helping women diagnosed with stage 2 or 3 breast cancer, researchers report. These are the first two drugs to come out of the I-SPY clinical trials, a research effort intended to streamline drug testing by better guiding treatments to those who would most benefit from them, said one of the study authors, Dr. Laura Esserman. She is director of breast cancer care at the University of California, San Francisco's Comprehensive Cancer Center. Neratinib halted the spread of cancer in 56 percent of women with HER2-positive, hormone-receptor-negative breast cancer, compared with 33 percent of a control group receiving standard chemotherapy alone. Veliparib stopped the spread of cancer in 51 percent of women with triple-negative breast cancer, compared to 26 percent in the chemo-only control group. The I-SPY clinical trials use genetic information from patients to steer them to experimental drugs that are most likely to work, Esserman explained. The trials also use adaptive design, a process in which doctors use early data from current patients to steer treatment for the next patients in line, she added. For example, a patient might be given a different drug in the trial that is working better in women with her particular type of breast cancer. "The whole idea of the framework is to allow us to be more innovative and thoughtful, and to drive faster to combinations that might make a huge difference in the response to these agents in women who need them most," Esserman said. Dr. Otis Brawley, chief medical officer for the American Cancer Society, said that adaptive design is the wave of the future for clinical trials of cancer drugs. Genetic research has provided a bevy of new ways to attack cancer, by finding very specific targets against which different drugs can be utilized, Brawley said. Unfortunately, traditional clinical trial design cannot keep up with the pace of genetic revelations concerning cancer, he added. Brawley noted that in the I-Spy Trials, researchers are using a 70-gene panel to help determine which drugs might be right for which breast cancer patients. Testing each gene or combination of genes with individual drugs would be costly and time-consuming. "The real aim here is to use the smallest number of people in the shortest period of time to figure out if a drug works," Brawley said. "It's especially important to do that as we learn that the number of diseases that we're going to be testing these drugs on is increasing exponentially as we better understand and define cancer genomically [based on genes]." A traditional clinical trial focuses on a single drug or combination of drugs, comparing the new treatment to the current standard of care, Esserman said. This amounts to a costly "educated guess" of the experimental treatment's effectiveness, with no way to change things until the trial is completed. It typically costs more than $2 billion and takes 12 to 15 years with the involvement of 2,000 to 8,000 patient volunteers to bring one drug to market, the I-Spy Trials notes on its website. Despite the cost and painstaking research, 60 percent to 70 percent of these drugs fail their clinical trials. The I-SPY Trials currently are in their fifth year, Esserman said, and have included 12 different experimental drugs in the stable of options available to patients. Drugs are cycled in and out of the trials, with about four or five active at any one time. Neratinib is a tyrosine kinase inhibitor, which fights cancer by interrupting chemical signals that drive tumor growth. Researchers found that neratinib is particularly helpful in women with HER2-positive breast cancer, in which a protein called human epidermal growth factor receptor 2 promotes the growth of cancer cells. On the other hand, veliparib is a PARP inhibitor, which helps kill cancer cells by weakening them and leaving them more vulnerable to traditional cancer treatments like chemotherapy or radiation therapy. When combined with traditional carboplatin chemotherapy, veliparib showed promise in treating women with so-called "triple-negative" breast cancer -- a tumor that isn't linked to the three best-known genetic causes for breast cancer. "All of a sudden you have something that shows really good results against triple-negative breast cancer," Brawley said. "For the longest time we have not had really good therapy for [triple-negative breast cancer]." The reported results are for the phase 2 trials of neratinib and veliparib, which establish that a drug has the potential to treat a specific disease, Esserman said. The researchers now will proceed to phase 2 international trials, which are aimed at confirming the results found in phase 2. The I-SPY Trials are a public/private partnership between QuantumLeap Healthcare Collaborative, Foundation for the National Institutes of Health, the U.S. Food and Drug Administration, the U.S. National Cancer Institute, 16 leading academic centers and the Safeway Foundation, according to the trials' website.